An American pastor imprisoned in Iran was recently taken to the hospital for medical treatment, but was placed in shackles, denied surgery and informed that he must return to prison, according to reports. The American Center for Law and Justice (ACLJ), which has been fighting for the freedom of Pastor Saeed Abedini, states that the Iranian-born American’s circumstances have now taken a turn for the worse. The organization outlines that just over a week ago, Abedini was transported to a private hospital to receive tests and obtain surgery, but suddenly became the focus of hostility this week. As previously reported, Abedini, a former Muslim turned Christian, left Iran in 2005 and moved to the United States with his wife and children to find religious freedom. Last fall, he traveled back to Iran to build an orphanage and visit his parents—and was about to return to the states—when he was taken into custody. Abedini was later charged with threatening the national security of Iran, and for attempting to turn youth in the nation away from Islam and toward Christianity. He was then sentenced to eight years in Iran’s notorious Evin Prison, where he has spent the past year. In November, he was transported to Rajai Shahr Prison, which was believed to pose an even greater threat to Abedini’s health and safety. Abedini was set to receive treatment last week for injuries resulting from his numerous beatings, and began receiving tests and nourishment, but matters reportedly turned abruptly hostile. Sekulow said that the most recent turn of events serves as a reminder that the world must continue to place pressure upon Iran. The ACLJ is hoping that President Hassan Rouhani will grant Abedini clemency on March 21st, the Iranian new year, and is meeting with UN leaders in Geneva to discuss the pastor’s plight. As previously reported, U.S. 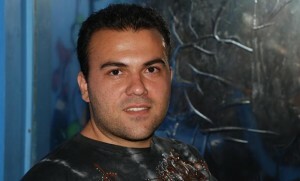 Senator Rand Paul sent a letter to Rouhani in September, requesting that Abedini be released. Supporters may likewise sign a petition urging clemency for Abedini.